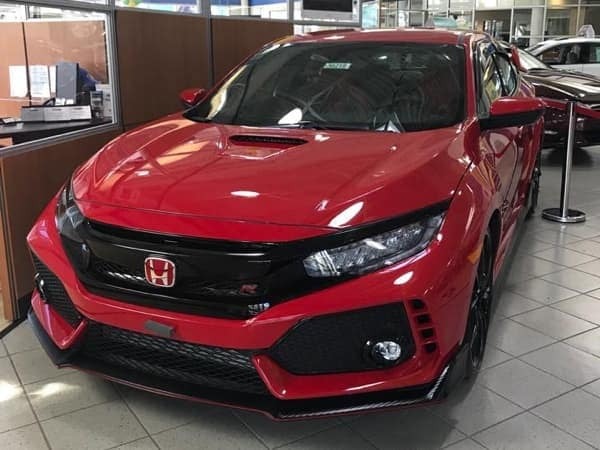 Middletown Honda, located in Middletown, NY, is a new and used car dealership that offers a stress-free car-buying experience. Our friendly, professional sales staff will greet you as you walk into our showroom and help you find the right car, truck, or SUV for you or your family. If you need an oil change, a car wash, a vehicle inspection, or a car repair, our specially trained service technicians have the expertise you can trust to keep your new Honda or used vehicle in running smoothly. Whether you’re shopping for a new Honda, looking for parts and accessories, need to have your vehicle serviced, or want to learn more about your financing options, you’ll find what you need at Middletown Honda. We proudly serve Middletown, Goshen, Monroe, Monticello, and the surrounding areas. Our dealership has been voted one of the best places to buy your new or used vehicle year after year, as well as one of the best places to get your car serviced, so you can trust that our team has your best interests in mind. We strive to provide you with the best customer experience every time you visit. Our full line of vehicles is available for test drives, and we carry a variety of certified new and used sedans, new and used SUVs, new and used vans, and new and used trucks. Feel free to contact us with any questions about our new, used, or certified pre-owned cars in our inventory, and be sure to check out our new car specials we may be currently offering. Quality care is the difference between buying the car you love and loving the car you bought. Middletown Honda is committed to providing you with the highest level of service and support possible. In fact, Quality care is one of the greatest advantages of owning a Middletown Honda vehicle, and our service department is committed to your complete satisfaction.